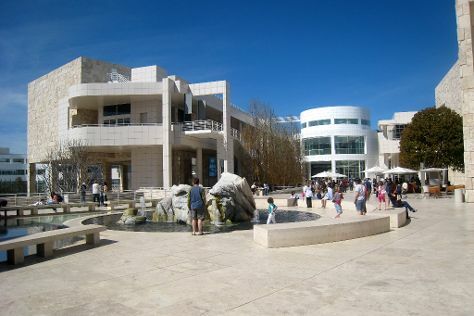 Start off your visit on the 14th (Tue): see the interesting displays at The Getty Center. Get ready for a full day of sightseeing on the 15th (Wed): see the interesting displays at The Grammy Museum, then examine the collection at La Brea Tar Pits and Museum, and then look and learn at Griffith Observatory. To find maps, photos, ratings, and more tourist information, you can read our Los Angeles trip planner. Moscow, Russia to Los Angeles is an approximately 16-hour flight. You'll gain 11 hours traveling from Moscow to Los Angeles due to the time zone difference. Expect somewhat warmer temperatures when traveling from Moscow in May; daily highs in Los Angeles reach 28°C and lows reach 17°C. Finish your sightseeing early on the 16th (Thu) to allow enough time to travel to St. Helena. Start off your visit on the 17th (Fri): awaken your taste buds at some of the top wineries in the area. Keep things going the next day: do a tasting at Inglenook, then learn about winemaking at B Cellars Vineyards and Winery, then do a tasting at Anderson's Conn Valley Vineyards, and finally do a tasting at Modus Operandi Cellars. For photos, reviews, and tourist information, use the St. Helena online route builder . Getting from Los Angeles to St. Helena by flight takes about 4 hours. Other options: do a combination of flight and bus; or drive. Traveling from Los Angeles in May, expect little chillier with lows of 10°C in St. Helena. Wrap up your sightseeing on the 18th (Sat) early enough to drive to San Francisco. Museum-lovers will appreciate Exploratorium and SS Jeremiah O'Brien. Visit Alcatraz Island and Twin Peaks for their historical value. There's lots more to do: take in the waterfront at Fisherman's Wharf, snap pictures at Golden Gate Bridge, examine the collection at Cable Car Museum, and take a stroll through SoMa. Traveling by car from St. Helena to San Francisco takes 1.5 hours. Alternatively, you can do a combination of bus and subway; or take a bus. When traveling from St. Helena in May, plan for a bit cooler days and about the same nights in San Francisco: temperatures range from 24°C by day to 13°C at night. Wrap up your sightseeing on the 21st (Tue) to allow time to travel back home.